We’ve heard your requests for multiple teachers to be able to collaborate around a single tracker! You can now easily add collaborators to trackers that you create. Learn more by watching a quick demonstration video below. Our CEO, Mick Hewitt, recently spoke about the changing education technology landscape and the influences of the Common Core at a VLAB event at the Stanford Business School. 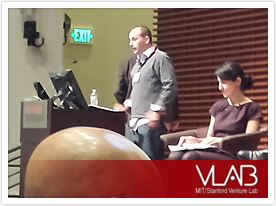 VLAB is the San Francisco chapter of the MIT Forum at Stanford University. The night got kicked off with Mick’s short presentation that highlighted the changing market in education technology and the opportunities and challenges presented by the Common Core for entrepreneurs. The night went on to include a rousing panel discussion that included Karen Lien from ImagineK12, David Reilly from Sequioa Union High School District, Lane Rankin from Illuminate Education, and Scott Drossos of Pearson. Lauren Hepler highlighted the events of the night in the Silicon Valley Business Journal article, “Online Kindergarten? Tech bets on K-12 Disruption”. In 2009, MasteryConnect began as a radical idea to help teachers focus on mastery learning and share formative assessments tied to standards. Just four short years later, Mastery Connect now includes teachers in over 30,000 schools in 9,000 school districts in 10 different countries, and now the island of Tinian. “It was the opportunity of a lifetime. Not only is Tinian a spectacular island with stunning beaches and turquoise lagoons but it has a rich culture and history. Tinian was the site of some of the most dramatic events of World War II history. But by far the highlight of the trip was the people I had the chance to meet. “Tinians are remarkably generous and accepting. Young and old, working and unemployed, families and single people literally meet for dinner on the beach and share what they have with each other and perfect strangers like me. “But in other ways, they’re just like the other parents and teachers I meet everywhere I go. They care tremendously for their kids and are very invested in their future success. Pin your heart out for a chance to win an iPad mini and other great prizes. 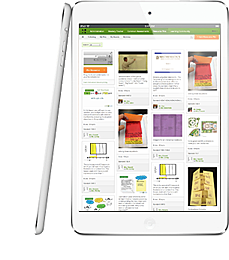 Become one of the Top Five Pinners on MasteryConnect by pinning and sharing the most resoures aligned to State, Common Core, and Next Generation Science Standards. The top 5 Resource Pinners on MasteryConnect on September 30th will win! Contest Runs: August 21 – September 30. We’re excited to announce our latest feature—Resource Pins. You can now pin, upload, and discover resources aligned to State, Common Core, and NGSS standards. 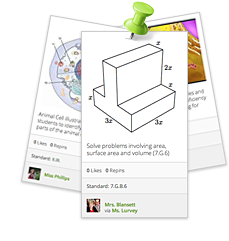 Share pinned resources in a curriculum map and in student playlists. Watch the video below to see how resource pins work in the continuing story of Mrs Jones, Miss Baldwin and Mr Archibald.